Our school days seem to be a long way in the past and sometimes hard to recall details from. Lynne was born and bred in Chase Terrace so she began in Chase Terrace Primary School in 1958. 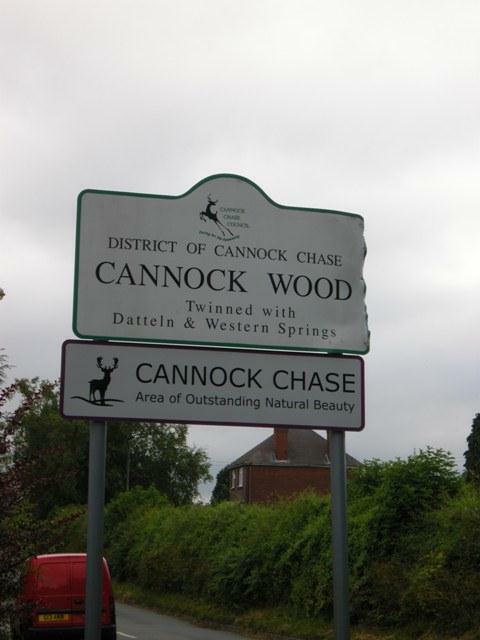 I joined class 2 of the Primary School in 1959 when my family moved to the area from West Bromwich. different streams in a single school appropriate to their ability (even for different subjects). around 30 kids in each class. In fact our arrival at the school bought its student population to over 1000. As a result, mobile classrooms were erected all over the school grounds to accommodate the new numbers. built at the back of the School containing a new library, Science and Arts departments. and outdated educational patterns and to help prepare students for a new scientific age. 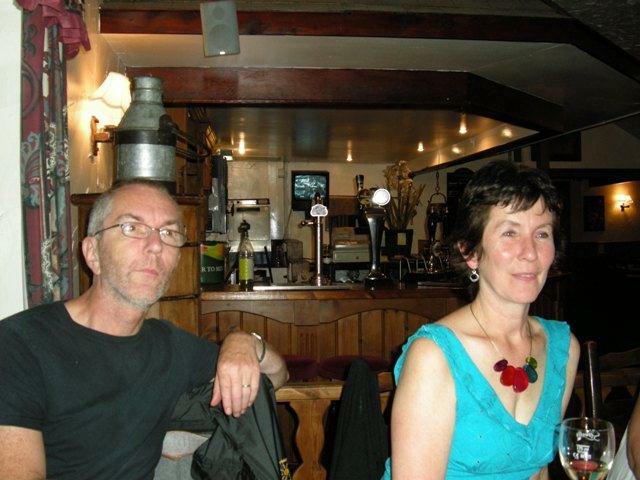 but 2011 was the first occasion when Lynne and I were able to attend. 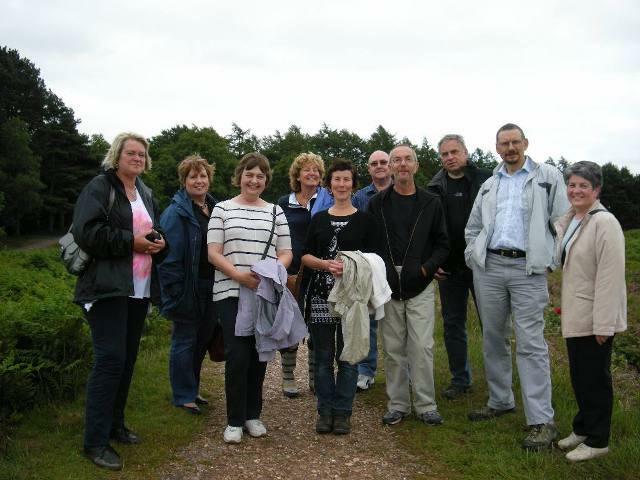 During a walk around Castle Ring, we took this group photo. 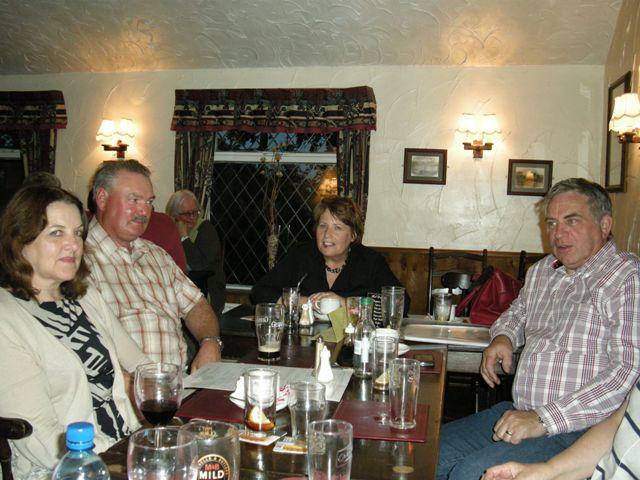 Phil Burton, Geoffrey Lomas, Graham Rothery, Stephen Taylor and Lynne Taylor (nee Gozzard). Click the 'BACK' button to return to this page. 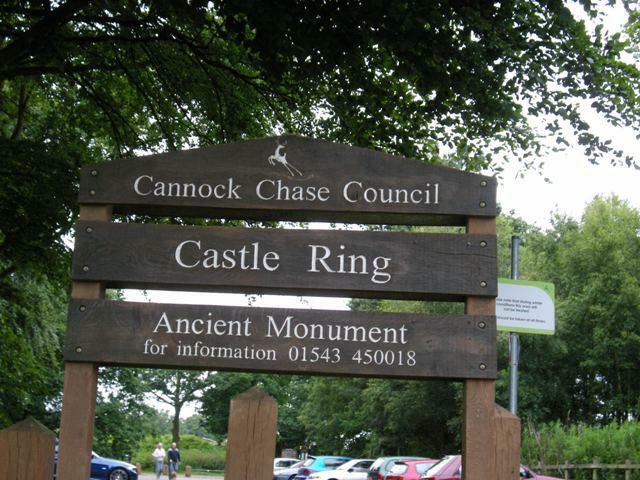 Our walk around Castle Ring, led by Graham Rothery, was a pleasant reminder of past days when we used to visit the ring for picnics (as family outings) or just to play as kids. 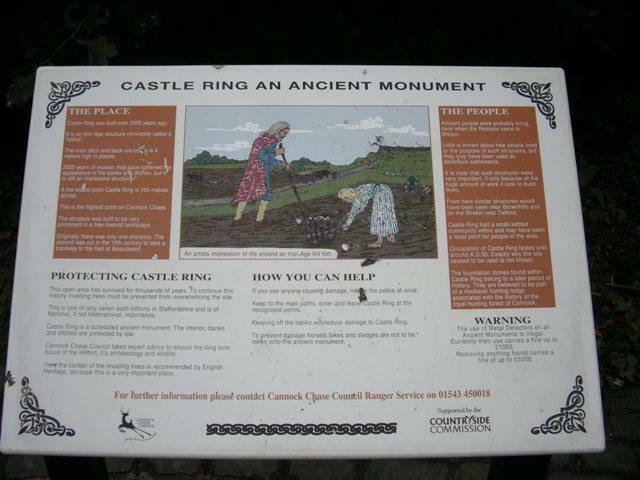 It also reminded me that back in those days, the whole family would gladly walk 2-3 miles there and back for a day out, whereas today people will barely walk a hundred yards before they start thinking of their transport options. 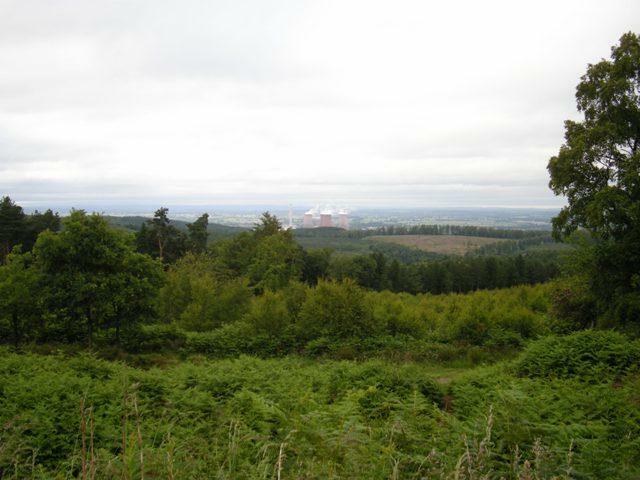 Cannock Chase looked as it always had but the view is now dominated by Rugeley Power Station which has been added since we left the area. 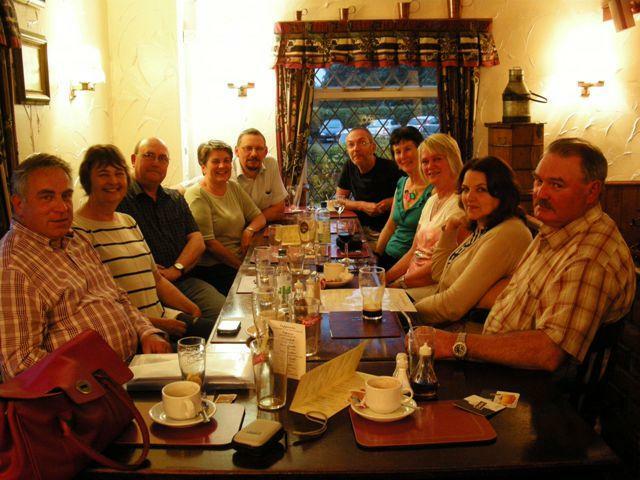 The Re-union meal was held at the Windmill Pub, which I was pleased to see looked exactly as it had in my youth. Furthermore, the meal was excellent and quickly served. Conversation around the table consisted of people catching up on where we had been, what we had done and what we were up to now. Having left the area before most others had even left school, it was great to be able to catch up and I was also happy to see how so many of our fellow school sufferers had made really interesting lives for themselves.